Kritters Thoughts: Two people have reason to be in awe of the Golden Gate Bridge. Each are led to go there to find answers for their futures. There are two storylines in this book. Katie Connelly lives in San Francisco and is mourning the loss of her father. 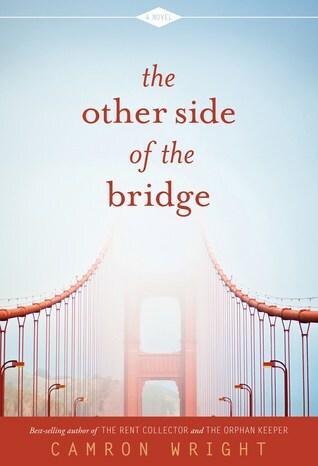 She is tasked to write a history of the bridge and through the task she is reconnecting with her father and learns a lot about the bridge and how it contributed to her father's death. Dave Riley lives in New York City and has always earned to drive a motorcycle across the bridge and after a tragedy befalls him and his family this dream becomes a reality. I loved this story. I love a dual narrative and I love when the why of the two stories lines isn't a plot piece. It was easy to know from the beginning most of the reasons for the two storylines and there is a sweet twist to add more depth. My only gripe was the ending. I wanted so much more. I wish it hadn't ended when it did, I couldn't believe that that was where the author left us. I am a reader that likes to know the complete ending - I don't want anything ambiguous! This was my first Camron Wright read. Where should I go next after this one? Disclosure of Material Connection: I received one copy of this book free of charge from PubVendo. I was not required to write a positive review in exchange for receipt of the book; rather, the opinions expressed in this review are my own.